Do you need to say more than this? Nah, its perfect! 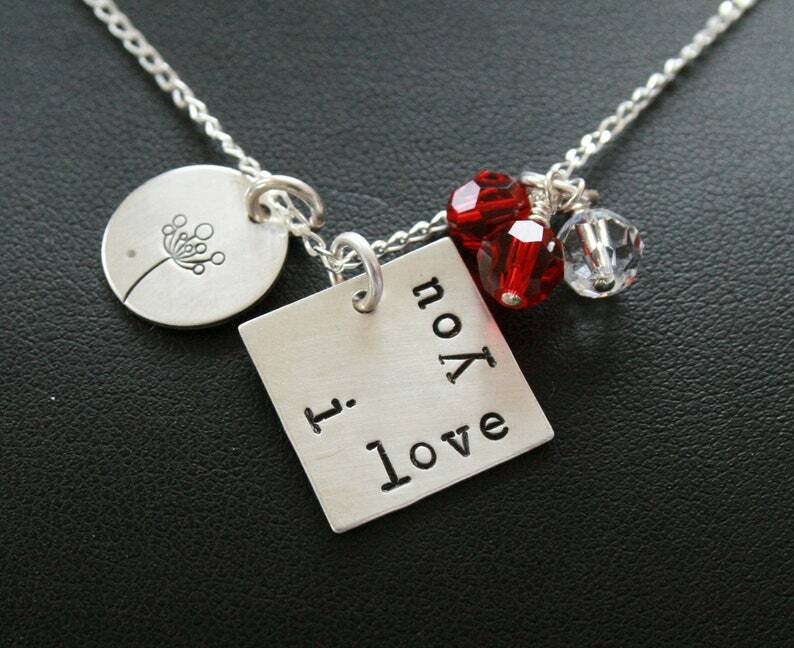 This piece includes 1 square disc hand stamped with "i love you", 1 round disc with a flower stamped on it and 3 of our large Swarovski crystals (perhaps her bday, his bday and your anniversary months). The entire piece is all sterling silver. Chain is 18", don't forget to pick which one you like and let us know what months you would like for your crystals. Shipped in a pretty drawstring organza pouch for easy gift giving.